The concept of releasing Kings is all about defining your dream and seeing it come true in a way that displays something of your destiny in the Kingdom. It’s a Jailbreak on a personal level and it makes a real contribution at the Kingdom level – making disciples of nations. There are a couple of levels of maturity that precede this whole discussion: 1) the first is salvation, seeing and entering the Kingdom, 2) the second is having a dream – many Believers have no concept that God might want to grant or speak through the desires of their heart. Let’s assume you have a dream and you’re in the phase of seeing it come true. Let’s talk about the next level. 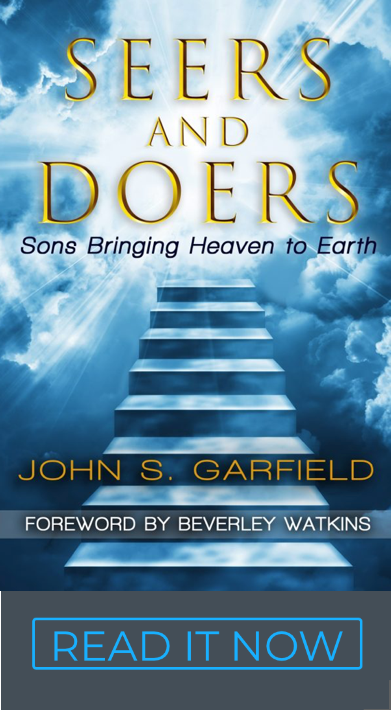 The bed of roses – Many believers have no place in their heart or theology for setbacks or failures in their dream. In fact, that’s why many shelve their dream and no longer pursue it. If you really desire something and you know God shares your passion, seeing that dream get trashed can easily lead todepression of the heart. Your heart is asking “why” and most of our theology is telling us not to ask, and to just move along… “Nothing to see here.” There is something to see. What our hearts believe about God is never fully revealed without experiencing a death in our vision. We are quick to assume that there must be sin in our lives or that God is rejecting us or spanking us… there’s a long list of possibilities, depending upon what happens to be in your heart. That’s the point – you won’t know if you’ve never experienced “death.” Listen to the way Paul describes this experience and its fruit. Brokenness – These brushes with the death of our vision are a loss of our “life” in the motivational sense. I’m merely suggesting that this death and resurrection process is part of the normal Christian life! We don’t live in death and defeat, but we do pass through valleys and experience resurrections. These cycles are like breathing… they are also breathtaking. The brokenness that results from “being given over to death for Jesus sake” releases a fragrance of maturity in resurrection that is the well of our ministry to other people. We don’t surrender to defeat; we surrender to the resurrection that makes dreams come true. We don’t lose heart or give up on our dream; we just realize that God has to do His part to make it happen. This pruning for fruitfulness or death and resurrection releases a fragrance that others easily perceive. They can identify with either our valley or our peak… we stop pretending it’s all peaks and no valleys. Jesus is both the captain of our salvation who set the captives free, yet he was also a man of sorrows… we are longing for both the power of His resurrection and the fellowship of his sufferings as we become like him (Phil 3:8-10). The fragrance – These fiery trials shouldn’t surprise us. They are the place where we learn to identify and lay down all our wrong beliefs about God. We eventually learn not to surrender our identity or our dream or our confidence when defeat comes. We just start looking to Him daily for the resurrection. We are always the pearl of great price worth God selling all, “his Son,” to buy us back. The Holy Spirit who resides in our hearts is always a treasure in an earthen vessel (2 Cor 4:7). Christ in you is always the hope of glory (Col 1:27). Our walk with the Lord as Kings always includes our part… initiative, dreams, charisma, anointing, faith and persistence. Yet it also includes God’s part… the miraculous confirmation of his power, presence, prophetic, wisdom and healing. We speak, but somehow they are His words. We pray, but the results go far beyond our expectations. We act, but the Kingdom is built. Those who have not been “processed” by defeats and trial are still saved and can still minister… but there is a degree of shallowness that doesn’t connect with hearts. There can even be a level of arrogance that is presumptuous and repulsive to hearts. Those who have camped in their trials as though they are spiritual leave us equally uninspired. Everyone can feel the difference. But for those who have been broken and poured out like an alabaster box, there is the sweetest fragrance that brings such a tender grace and mercy and compassion that we are drawn to it and our hearts are released by it. We can surrender to the success in our own destiny because of their example. We can lay down our fear and resignation and return to life. We can see the heart of one who has survived the fire and returned alive and well and loved… one whom the Father holds like a trophy. And we can admit in our hearts that dreams do come true because we have a father who loves us and wrote His dream on our hearts and never leaves us or forsakes us. We become faithful to our dream when our hearts grasp how faithful the Father is to us. To believe in your dream, to contend for it, to write it down and run with it is an act of worship that builds the Kingdom.